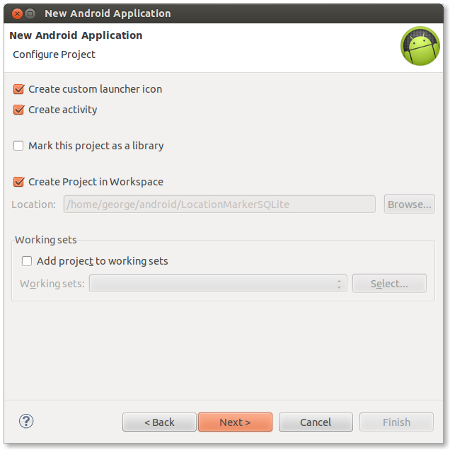 In this article, we will develop an Android application which demonstrates how to store and retrieve Google Maps locations in SQLite database from Google Maps Android API V2. On taping a location in the Google Map, a marker will be drawn at the taped location and the corresponding coordinates with Google Map zoom level will be saved in SQLite database. 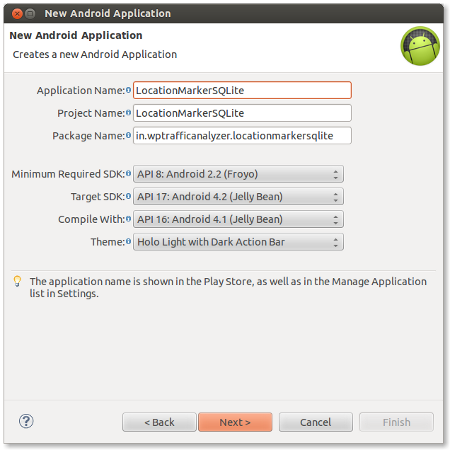 On restarting the application, the saved locations are retrieved from the SQLite database and redrawn in the Google Maps. In this application, the database is accessed via Content Providers. The insertion and deletion operations are executed in non-ui thread using AsyncTask objects and the data retrieval is done using CursorLoader. 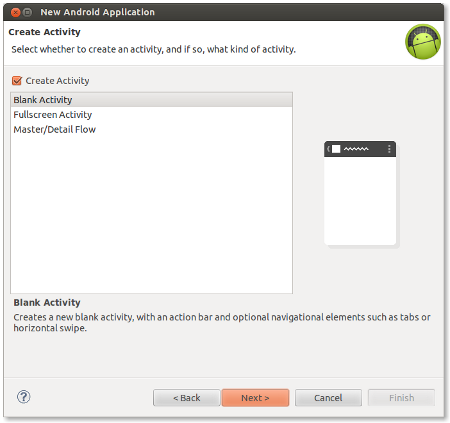 This application is developed in Eclipse (4.2.1) with ADT plugin (21.1.0) and Android SDK (21.1.0) and tested in a real Android device (Android 2.3.6 - GingerBread). Note : Replace “YOUR_ANDROID_API_KEY” with the Android API key obtained in Step 8. I have downloaded this code and did everything that mentioned above.but while launched the app.it stopped unfortunately………..help!!! Are you getting any hint in Logcat regarding the error occurred while launching the app? Can I ask how to track user location and draw the route path when user move. i’m also having the same errors.plz tell me how can i remove it. The method initLoader(int, Bundle, LoaderManager.LoaderCallbacks) in the type LoaderManager is not applicable for the arguments (int, null, MapsActivity). 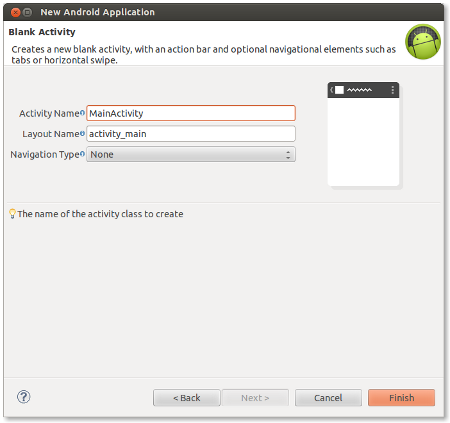 Please ensure that, the class MainActivity is importing “android.support.v4.app.LoaderManager.LoaderCallbacks”. Ok now I run it but the problem seem to be on the database, and the problem is in the getAllLocations() funtion. but when i read it, it does’n read the same number of data?? hi… nice tutorials. i need your help in my project. i am using sqlite database and want to retrieve values on the map in form of overlay. you used here content provider etc my sqlite database is designed with ADAPTER class. please help me.. Thanks for the sharing. But, now, I am facing a problem. I have several thousand rows in the sqlite. When I load the data at once and I touched the screen, it will show “the app is not responding” either “wait” or “close”. Do you know what problem cause this issue? Are you sure, you are retrieving the data in a non-ui thread. I run AsyncTask in onLoadFinished. loop through the data in doInBackground and store them into ArrayList. Finally, pass ArrayList to onPostExecute and loop through the ArrayList to addMarker on maps. Am I do right? your tutorial is very very good..i like it….i have one question i added name column with this database and i am getting that name in spinner…what i want to do when i click on spinner item that time i want to redraw location for that perticular saved name from sqlite to map……plz suggest me how i do this……..
1. Get the selected item name in itemclick listener of the spinner. 2. With this name, you can fetch corresponding latitude , longitude pair from the sqlite database using ContentProvider in asynchronous mode. 3. Draw the coordinate in the map. i am kind of new to all of this stuff…. what steps should i take to be able to launch this app? i dont have sqlite on my computer. after i download it – what should i do? how do i make this app talk with it? Note : You don’t need any sqlite database in your computer. 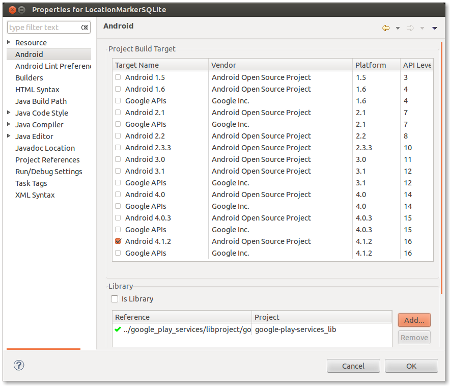 Sqlite database will be already there in the Android. i want to save 15 markers on the database SQLite and they can just added by me (only admin, the user can’t add marker), please tell me how to do it. Why are you using the provider tag “” in the Manifest. I wonder have you as you give me an explanation or example showing how to insert my lat and log stored in slqite and show map v2. already analyzed your sample: Storing and retrieving locations in SQLite Android from Google Maps API V2, but it does not give me much light. hai am follow same procedure but when am run the application it will show the error as unfortunately application was stopped… pls help me……. thanks in advance…. hi first of all I would like to congratulate you for the excellent guide. I created an application that manages to do all memorized all ‘inside of a sqlite database and I would now enter multiple alert for each marker in the map .. how should I proceed? Now, i want to store the marker in ListActivity. How can i do? Tks for this useful topic. 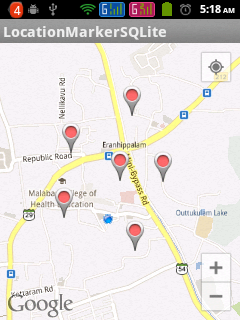 I’m new beginer with android google map api so all your guide is very useful for me. I try to run your project. Everything work fine. But can i ask a noob question? This is where the database located when i add some location on googlemap? Can i view and edit that database with sqlite studio? Thank you so much for the tutorial but when we tried to execute the above code and run it on the emulator, says “unfortunately stopped working” . Tried uninstalling and cleaning the project but that did not help either. I tried and got the same message mentioned above and series of efforts made to rectify the problem turned abortive. In the end I managed to get it work by deleting my emulators and creating a new one. I tried to run in again and it worked. How to delete one marker from SQLite database on click info windows and delete onItemClickListener? How to delete only one marker in SQLite using click info windows and onItemClickListener? and as soon as i click the intent button it navigates back out of the app. please sort out the problem. i tried everything but issue not resolving…. do i have to change this string in my app.?? “in.wptrafficanalyzer.locationmarkersqlite”,its ur package name na? so if i give mypackage.location it is showing error.